5Saving money can seem like a bit of an uphill battle. It’s not very fun, in fact it’s a bit boring and it can feel like you’re never getting anywhere. So to help you with your savings quest, here are some savings challenges that will help you save over $1,000. The idea behind this is to put away little bit each week, or month, and then you won’t notice it as much but will still be getting ahead. So try them out and let me know what you think! Let’s start off with this classic savings challenge. Basically, what you have to do is break the year down into its 52 weeks. Each week you simply save the same number of dollars as the week you’re on. So, on the first week, you deposit $1, the second $2, and so on. By the end of the year you will have saved yourself $1,378. This one is perfect for those of us who get paid monthly. Each month you save an amount between $100 and $150. This will give you over $1,000 by the end of the year. It’s simple but makes sense! This one is often called the zero or no spend 30-day challenge but see how long you can keep it going! Essentially, you are only allowed to spend on necessities. This means keeping a ruthless eye on each and every transaction you make and deciding whether it’s an essential. You may be depriving yourself of a few items/meals out but this will save you a ton! And once you’ve done this for awhile, you will have been able to save over $1,000. This is a great challenge for getting money for Christmas. It’s only 26 weeks, so you don’t have to start it until June, but of course you can start it anytime. Basically, on the first week, you will save $26. And each day after that, you will save an extra $1. It’s that simple! This challenge puts a bit of fun into saving. The deal with this one is that each Monday you will roll 2 dice and the number that you throw will decide how much money you save for that week. So role 2, save $1- role 3, save $5 – role 4, save $10 – role 5, save $15 – role 6, save $20. – role 7, save $25 – role 8, save $30 – role 9, save $35 – role 10, save $40 – role 11, save $45 – roll 12 – save $50. Simple and fun! Saving doesn’t have to be hard! 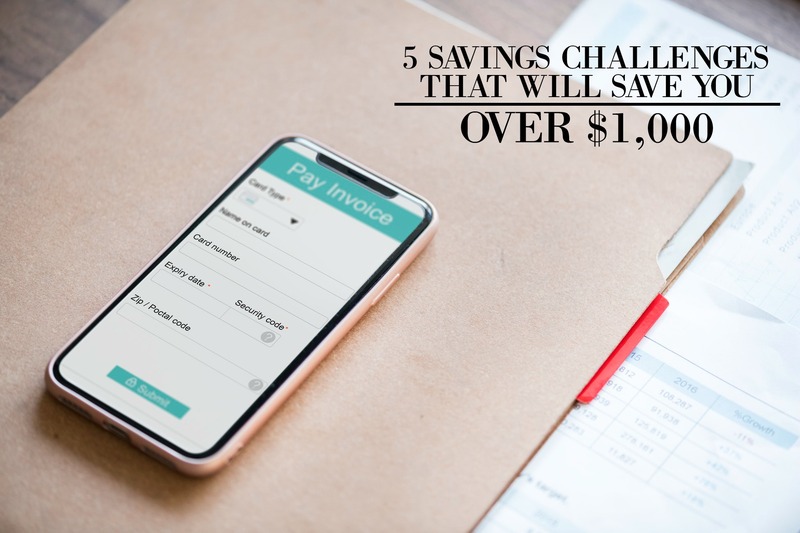 And these 5 simple and effective challenges will enable you to save a lot of money with little stress.